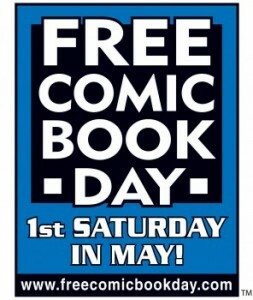 It's that FREE COMIC BOOK DAY time o' the year again and we have a stellar line-up of artists and writers joining us SATURDAY in Manhattan Beach and then SUNDAY in Culver City. Here's who you can expect to meet SATURDAY! ....and more to be announced in over the next few days! On top of all the talented folks, we will have THOUSANDS of comics to give away, free snacks, cosplayers, photo ops and FUN! See you in Manhattan Beach on Saturday and Culver City on Sunday! Viva la comics!! !